Epitomising the glamour of the 1950s this pretty crystal peach pendant is a pastel dream. A stunning necklace for your bridal party. 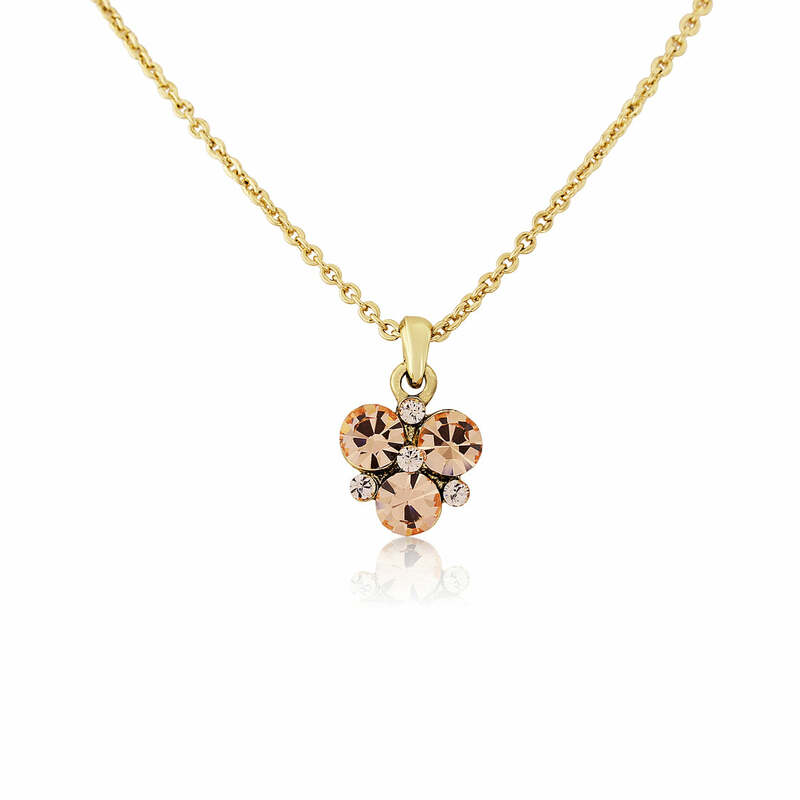 If you adore all things pretty and the pastel shades of Summer you will fall in love with our Peach Passion Pendant. Featuring a beautiful cluster of pale and very light peach crystals suspended from a fine gold chain, this gorgeous pendant captures the beauty of this fabulous hue. The perfect necklace for almost any neckline, it will add a pop of colour to a summer outfit or will accessorise a LBD for lunch with friends. With peaches and cream a popular wedding theme our mix and match retro styled accessories are the perfect adornments for bridesmaids in tea length dresses and pretty hand tied posies.